At Specialty Teleradiology, we strive to offer reliable and diverse radiology reporting services for our clients and part of that commitment comes by way of our PET/CT scan interpretation services. If you’re looking for a company to supply essential PET scan interpretations, know that we treat our PET/CT reporting services as “consults,” working closely with our partners and providing the most comprehensive PET/CT reporting services available. Our highly experienced PET/CT radiologists will supply expert, unequivocal interpretations to assist referring physicians in delivering the best possible care for their patients. Referring physicians are encouraged to call our radiology staff with inquiries about the overall value of PET/CT services for their patients. One particular area that PET studies are a critical part of is for the management of a cancer patient’s health. Specialty Teleradiology’s PET/CT radiologists work with and actively support MIMvista fusion platform for PET/CT imaging. MIMvista is a leader in fusion software. Our contributions have assisted in the development of the MIMvista PET neurology analysis software, which helps put Specialty Teleradiology on the cutting edge of PET imaging for Alzheimer’s disease, as well as for future neuro-receptor imaging. Our PET/CT reporting services allow Specialty Teleradiology to assist your physicians in providing the highest quality care for your patients, especially considering that Oncology PET/CT studies are a critical part of a cancer patient's management. Specialty Teleradiology’s PET scan interpretations will give a comprehensive view of a patient's cancer status to best assist referring physicians in determining the treatment needs for the patient. 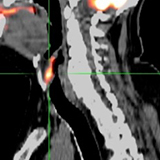 Specialty’s experienced radiologists are also able to supply Neuro PET/CT reporting for our clients. Neuro Dementia evaluation with quantitative analysis achieves greater than 90% sensitivity and specificity in predicting progression from mild cognitive impairment to Alzheimer's disease in predementia patients. 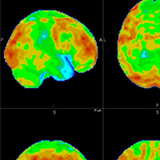 Our radiologists specialize in FDG and Amyvid neuro study interpretations for Neuro PET/CT. 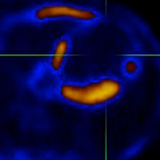 Cardiac PET studies are reported by cardiac imaging experts with many years of experience in Nuclear Cardiology. Interpretations indicate revascularization evaluation, cardiac viability, and target vessel localization. In addition to all we can provide for your business regarding PET/CT interpretations, we also offer a number of support services to ensure that when you work with Specialty Teleradiology all of your essential needs are met. Our dedicated team is ready to help you in all of these areas when you partner with Specialty Teleradiology for your PET/CT teleradiology needs. Visit our link above to see all that these services entail. If you’re looking for reliable PET/CT teleradiology services, Specialty Teleradiology is ready to partner with you. Contact us to get started today!